March Madness Productivity is Back …. | don't bite the apple…work is not a fairy tale! March Madness Productivity is Back …. This is the year of the upset! In the last four days 48 games were played and 13 ended in upsets. Kentucky took out Number 1 seed Wichita State, Dayton upset Syracuse and Mercer destroyed more brackets than any other team by taking out Duke. Only 3.3 percent of ESPN brackets had Mercer advancing. Warren Buffet had a Billion Dollar challenge for the perfect bracket, EVERYONE is out! Why am I mentioning this in my HR Blog? Because chances are your employees have filled out a bracket and are obsessing over it. The NCAA states that 35 Million people participate in pools. Within three hours of the selection show 693,000 brackets were filled out according to Deborah Stroman, who teaches sports administration at the University of North Carolina. I looked up information on the brackets today and of two articles I read, one had 243.9 thousand views and the other had 106.5 thousand. I wonder if those were viewed from work. Will it shut your productivity down? Can you stop it? No, is the answer to both of those questions. But how do you contain the Madness in your Kingdom? We suggest you have some fun and join in the Madness. Embrace the Brackets. Employees will appreciate the outlet and won’t feel the need to “hide out” on their computers checking scores. Have basketball themed meetings and employee communications. Pick a “Company Team” that is left in the brackets, and if they win you can bring in lunch. Begin each meeting with the Bracket update and which employees are still in the game. Allow a “Basketball Casual” on game days or one day a week. Let everyone wear spirit-wear. Getting everyone in on the Madness will help avoid resentment between employees who are not into basketball. Here are some fun facts on productivity and March Madness. Good Luck during the Madness. Sweet Sixteen games start on March 27th and it all ends on April 7th with the National Championship. Click here for the NCAA schedule. 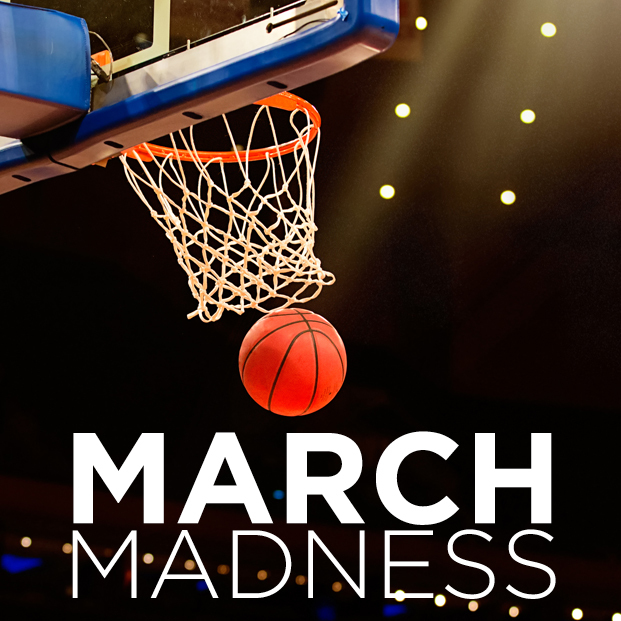 Do you do anything special during March Madness? We’d love to know! This entry was posted in Employees and tagged brackets, employees, human resources, march madness, March madness productivity, ncaa, NCAA Men's Division I Basketball Championship, NCAA tournament, NCAA upsets, productivity. Bookmark the permalink.